This study addresses the increasing tumult over the commercialization of higher education - a battle over profit and principle, money and mission. While many issues in higher education encompass the mission and values of the university, the operation of for-profit subsidiaries by nonprofit universities provides the potential for an especially contentious clash. Some faculty have been especially vocal in this debate, claiming that the culture of the academy is being irreparably altered as traditional values are being replaced by a corporate style of management, or by some hybrid. 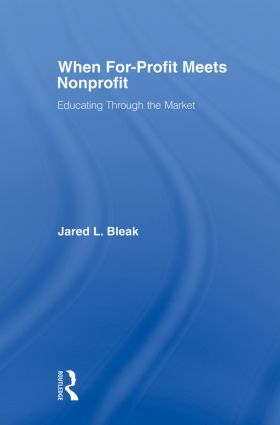 By answering the questions of why for-profit subsidiaries of nonprofit universities were created, how they are governed and managed, and what the nature of the relationship with their nonprofit parent is, this book contributes to a better understanding of the larger controversy over whether universities have become too business-like, too market oriented, and whether they have sold their souls and values in the process. In essence, the book provides a window into whether it is possible to do business like a business - a trend afoot in the academy - and still retain allegiance to core values.